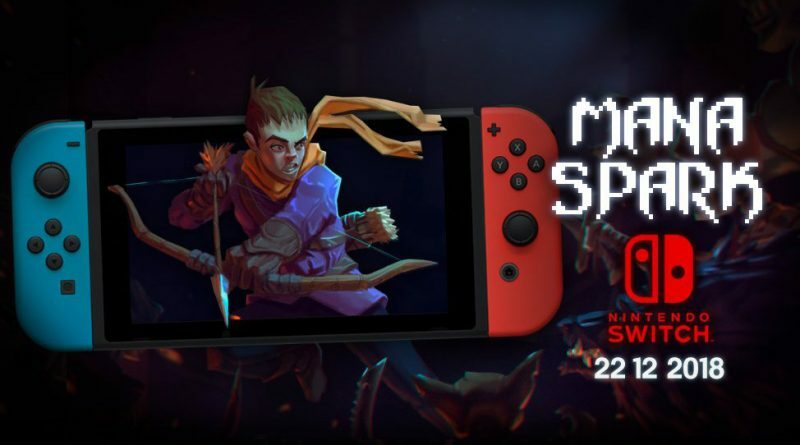 Behemutt has announced that the action RPG Mana Spark will release on Nintendo Switch on December 22, 2018. Mana Spark is a challenging action RPG with deep souls-like combat and rogue-like elements. Explore a dreadful dungeon and fight smart enemies that will plan and collaborate between themselves to defeat you. Each enemy has its own set of skills, behaviors and collaborations. Learn their patterns and discover their weakness before they lay their hands on you. Be responsible for rebuilding and maintaining your guild’s village. Meet new characters, choose your traps, your weapons and keep track of your discoveries and unlocked content. Designed to make each new run a completely new experience. Each room is handcrafted to get the most out of the combat, but you’ll never explore the same dungeon twice.